Joan Winmill appeared in the role of the Mary Wells the maid for the first half of Bela Lugosi’s 1951 British revival tour of Dracula. 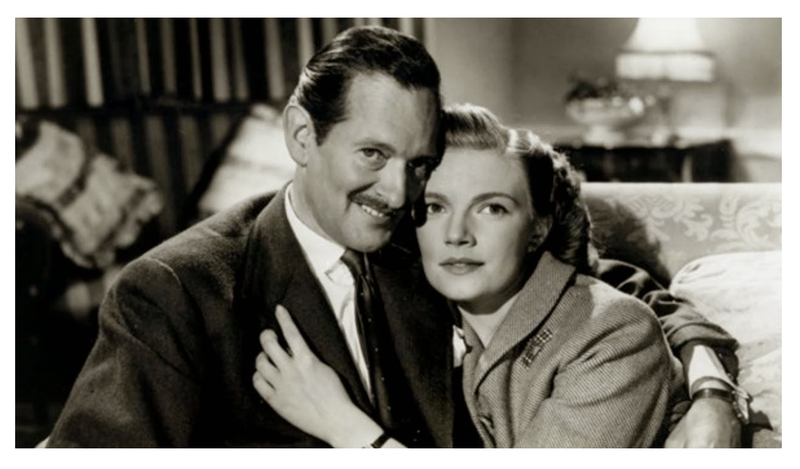 Beginning her acting career shortly after World War II, she had an incredible stroke of luck in 1947 when she landed a leading role in the West End hit The Chiltern Hundreds. For more than a year the unknown actress had one of the choicest stage roles in London. After one performance at the Vaudeville Theatre Joan was introduced to future American senator Robert F Kennedy. A romance followed, but Kennedy’s father disapproved. Despite Joan’s hopes of marriage, the relationship came to a sudden end in 1949 when Kennedy announced by letter from America that he was going to marry Ethel Skekel instead. Joan found it difficult to follow up the success she had enjoyed in The Chiltern Hundreds when the run came to an end. Her relationship and professional woes fueled her personal insecurities and bouts of stage fright. She coped through phenobarbitals before performances and sleeping pills afterwards. Although the barbiturates got her on stage and through a performance, they also caused her to slur dialogue or drop lines. In April 1951 Joan auditioned to play Lucy in Dracula, but only managed to land the much smaller role of Wells the maid, an indication of the extent of the reversal of the professional fortunes of the former West End star. She would perform the role 121 times before leaving the tour after eleven weeks when the play’s run at the Wood Green Empire ended on July 14, 1951. Her career began to improve over the next three years with regular work in the theatre, television, and films. Her television credits include a recurring role in Epitaph for a Spy, a 1953 mini-series starring Peter Cushing. She appeared in four films, including uncredited roles in Alastair Sim’s Innocents in Paris (1953), Forbidden Cargo (1954), which featured Greta Gynt who had played opposite Bela Lugosi in Dark Eyes of London in 1939, and The Harrassed Hero (1954), which gave Joan her highest profile film role as the leading lady opposite Guy Middleton. Despite the steady progress she was making as an actress, Joan’s inner demons were threatening to overwhelm her. By her own admission, she was feeling suicidal. 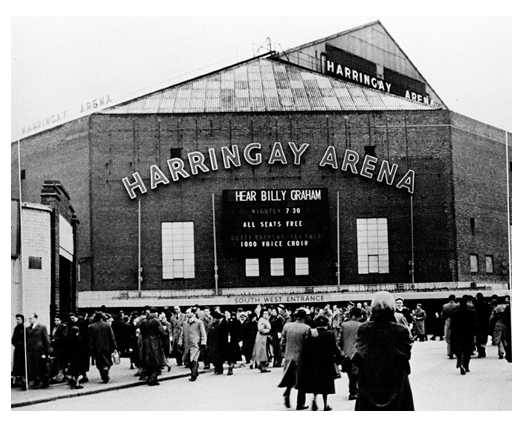 Her “salvation” unexpectedly came when, “for a lark,” a friend invited her to go along to The Greater London Crusade, a 12-week evangelical event organised by Billy Graham and the Evangelical Alliance at the Harringay Arena in North London in 1954. To the amazement of her friends, Joan answered the altar call at the event. From that moment she was a transformed person. She left behind her life and career in England and has since devoted herself to spiritual work with the Billy Graham Evangelistic Association in America. She continues to act occasionally in films produced by Graham’s World Wide Pictures and she has written several books on devotional topics. In her 1975 autobiography No Longer Alone, which was filmed by Graham’s World Wide Pictures in 1978, Joan recounted her time with Bela Lugosi during the 1951 revival tour of Dracula. “I don’t remember how I ever got to audition for Dracula, but I do know that once I signed the contract, my fears told me I had done the wrong thing. As a child I had once seen a filmed coming-attraction for Dracula. (I was attending a bland comedy with my grandmother.) I went under the seat until assured that it was over. When we left the performance, we found a booth set up in the lobby with a sign which said, “Dare To Open These Curtains!” Someone did – just as I walked by – and there, life-size, was a model of Dracula staring at me. All the way home I knew he was following me. Nanny had to stay in my room that night until I finally fell asleep, having been convinced he was not under my bed. 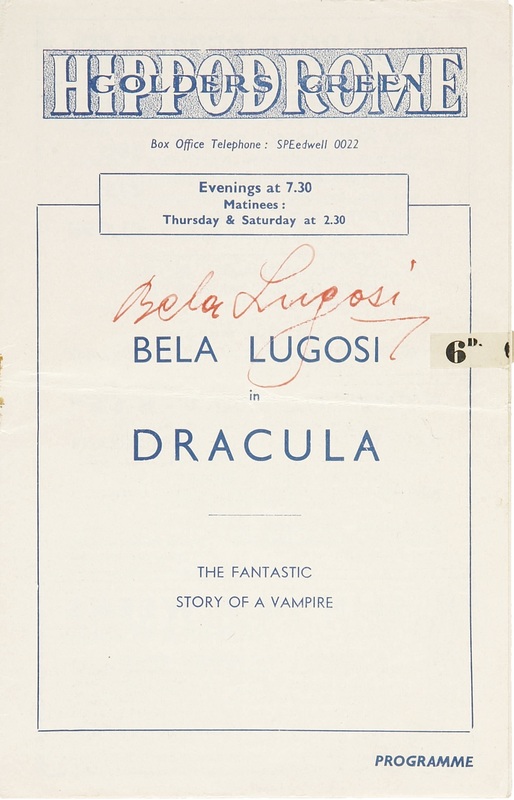 Now I was signed to go on tour with none other than Bela Lugosi, who had created the role in the movie! I was very hesitant to attend the first rehearsal and meet Mr. Lugosi. He arrived late, making a grand entrance, and was introduced to each of the cast. When it came my turn, I stood there in sheer amazement. He looked just like the wax figure that had scared me so as a child. But he was gracious and very professional. When it came time for the scene in which he was supposed to hypnotize me, I thought, “Here we go! I must not look as if I’m scared of him. 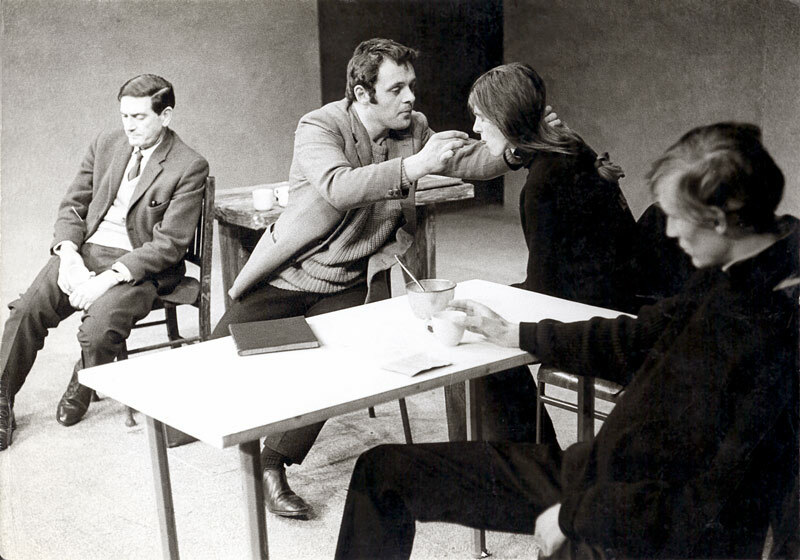 After all, this is ridiculous – it is only a play and he really is just an actor.” But when he started to look into my eyes, I sensed a strange, burning sensation, and tears began to well up. He stopped suddenly and said, “Child, never look into my eyes. Always look here,” and tapped his forehead. I did just that every time we played the scene after that, and things went along smoothly. He took playing the part of Count Dracula very seriously, and we were never allowed to change a word, a look, or a move. It was as sacred as Shakespeare to him. Once I heard him say that, perhaps, the worst thing for his career had been the success of Dracula, for people would never take him seriously as an actor any more. Apparently he had known great adulation in his homeland of Hungary. In the final scene, set in a crypt, he was supposed to be in a coffin; the doctor and his friend, Van Helsing, drive a stake through his heart – the only way he can be killed. 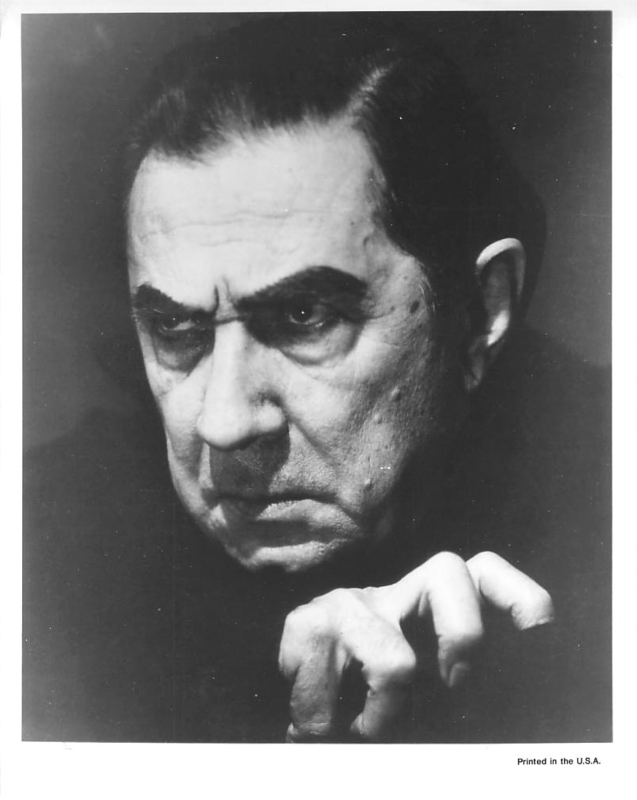 But Bela would never get in the coffin and would always give the death scream from the wings. He had a great superstition about this. The only time we saw him during the day would be when we would meet at the train to move from one city to another. Then he would stride down the platform with his wife and son and disappear into a private compartment, to ride with the shades drawn for the entire journey. The trouble with the cast was that, after we got over the awe of being with the Dracula, our emotions swung the other way. The overly dramatic dialogue became too much for us, and we all started to get the giggles. I cannot begin to describe the agonies we went through every night trying to control our feelings and playing our lines “straight.” Once the stage director called us all on stage after a particularly giggly show and said he would fire all of us if we did not stop this appaling laughter. Even as he said this someone giggled and started us all off again. We were appearing in a theatre way up north of London, and the poor director had no choice but to put up with us. It even got to him finally, as night after night he had to oversee the fake bats and smoke that always preceded Dracula’s appearance. I recovered enough to go on again the next day, but I was very careful not to exclaim too heartily upon seeing Dracula coming through my window. Joan’s reminiscence, written more than 20 years after the tour, contains both accuracies and inaccuracies. 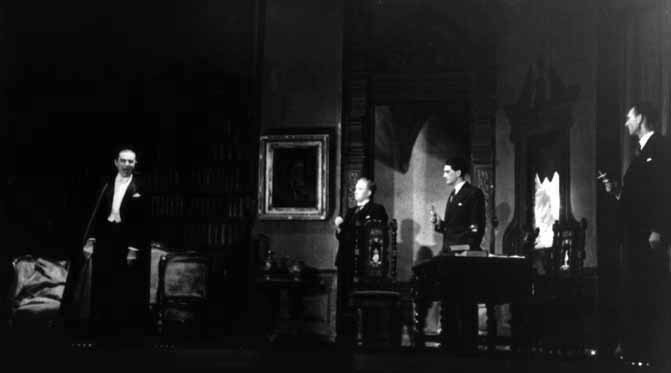 Giggling among the cast—“corpsing” in British theatre slang—was an occasional problem in the Dracula tour, as it was in many provincial tours. But it was not persistent and common. None of the dozens of reviews or personal recollections from audience members that we had already amassed mention it. In the closing scene, a mannequin did indeed lie in the coffin, as Lugosi supplied Dracula’s death cries from the wings. However, he had no fear of lying in the coffin himself—he did exactly that every night on the tour in the play’s prologue before the opening curtain. Bela, Jr. did not accompany his parents on the 1951 tour. Joan is probably confusing him with Paddy and Sean Dawson, the sons of David Dawson, who played Dr. Seward. Joan’s fear of looking into Bela Lugosi’s eyes was confirmed by tour producer John Mather, who recalled without prompting that she was genuinely terrified of the actor.